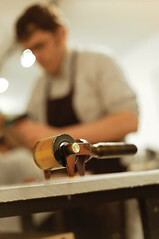 These workshops, designed to take place at your school, include: learning a print technique of your choice, advice on how to set up your classroom for printmaking and a list of suppliers and materials. 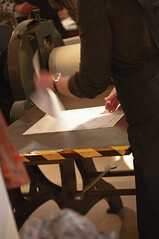 Are you a teacher or educator interested in bringing printmaking into the classroom? To complement our workshops in schools we offer after school Print Lab sessions to art teachers, technicians and arts educators. These sessions are designed to introduce and refresh your technical skills, providing an opportunity to learn and experiment with new ways of bringing printmaking into the classroom. Each session will explore a different print technique that you can take away and adapt to your own learning environment. Led by experienced printmakers and artists these sessions enable you to discover the potential of print and discuss options for future bespoke learning. Please click here for details of the upcoming sessions on our current programme.